T3 Terminal covers an area of 105,800 square meters, handling a total of 10.45 million passengers every year in Urumqi airport. The layout of the terminal is of "Ч" type. Check-in, security check, customs, border defense, baggage claim, etc are processed in the main block, while waiting lounges are in airside concourses. 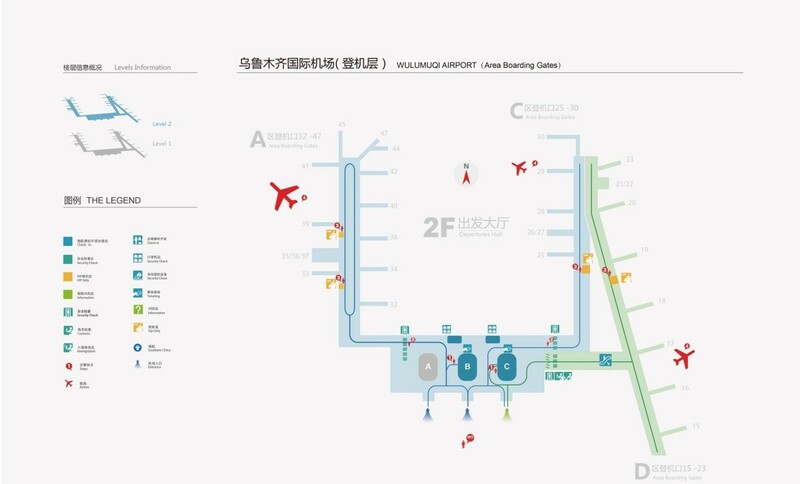 There are three concourses in T3 Terminal - A, C (domestic) and D (international). The distance between concourse A and C, which are connected by the corridor, is 285 meters. There are 21 sets of passenger boarding bridges in total. Time: Subject to the time of inbound flights, shuttle bus is available when each flight arrives. 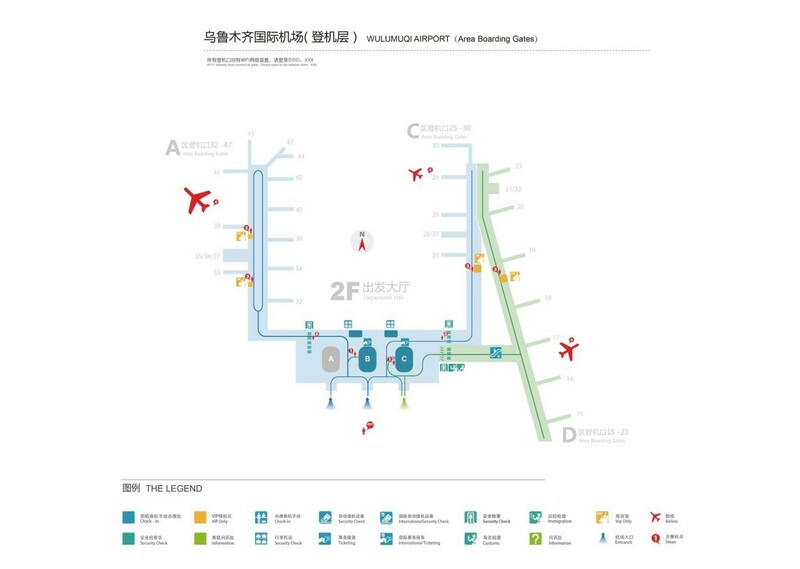 Urumqi Airport locates in the northwest of the downtown area, only 18 km away from the border of the downtown. Drive along West Outer Ring Road or Ying Bin Road. 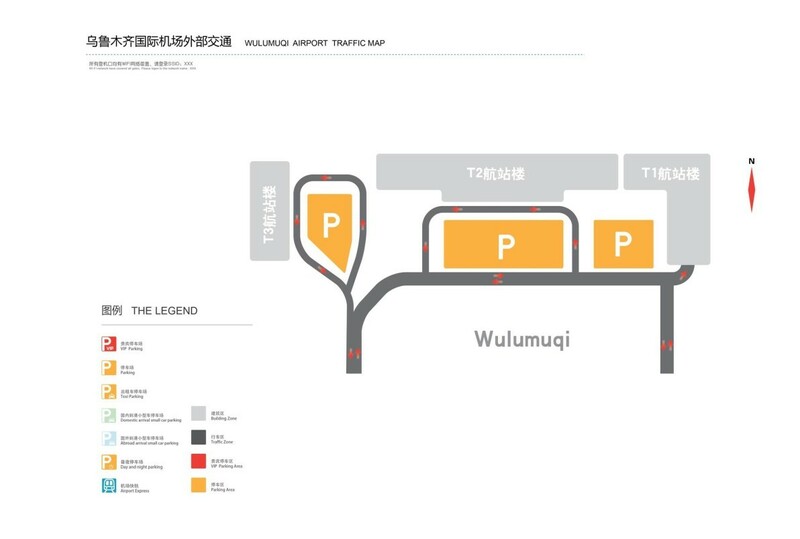 There are three VIP lounges for Sky Pearl members in the Domestic Waiting Hall of T3 Terminal of Urumqi airport, two in airside concourses A and one in airside concourse C, covering an area of 586 square meters. In the International Waiting Hall there is one VIP lounge for Sky Pearl members with an area of 260 square meters. 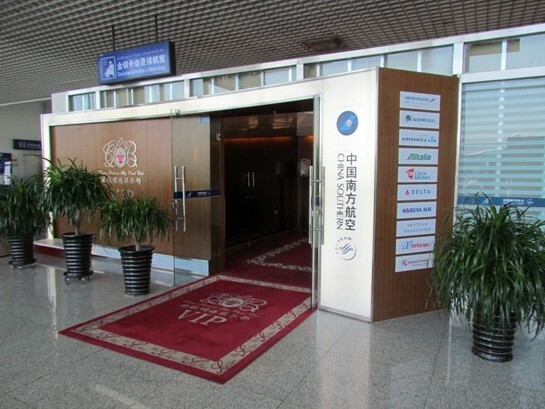 There are six VIP lounges with a total area of 600 square meters in non-isolation area, where VIP passengers of China Southern Airlines domestic flights can enjoy a series of services such as private parking, service guide, check-in service, waiting lounge and dedicated security channel, gettining the distinguished "one-stop" service. In the central section of main block there are three islands of check-in counters, Island A and B for domestic check-in and Island C for international check-in. In each island there are 20 sets of check-in counters, No. 5 to No. 10 counters in Island A for domestic premium passengers only and No. 48 to No.50 counters in Island C for international premium passengers only. Domestic Departure from Urumqi Airport : Check-in will be closed 40 minutes before scheduled departure time. International Departure from Urumqi Airport: Check-in will be closed 40 minutes before scheduled departure time.